Toronto raised, Ottawa local, Omari Mydz just released his music video for "Naw". After teasing his fans for weeks about the eventual release, the music video was definitely worth the wait, amassing over 20,000 views in just 48 hours. Shot in the hills of L.A. and across Malibu beach, the video was definitely very aesthetically pleasing. Using local Ottawa youtuber, WolfieRaps' videographer to get some of the shots, Gab Côté did an excellent job of capturing those infamous L.A. vibes and portraying the tone of the song. Not much is known about Omari, except that he sort of seemed to pop up from out of nowhere. Although he had a YouTube channel that featured a small number of skits, challenges, and vlogs, he only really started to garner the attraction of Ottawa locals when he started releasing music. So far, he's already performed at PPL's Express Yourself, shows hosted by Lenz Studios, and opened for Toronto artist, Ramriddlz. What's interesting about Omari Mydz is that many people assume he's just another Ottawa rapper with no vocal talent, however, as biased as I may be (for those who know, you know), Omari's actually got a nice vocal range and all of his songs are RnB tracks, not rap. Additionally, his music is very versatile and he has tracks that are definitely more upbeat, such as "Do It" and songs that are slower, such as "Naw". 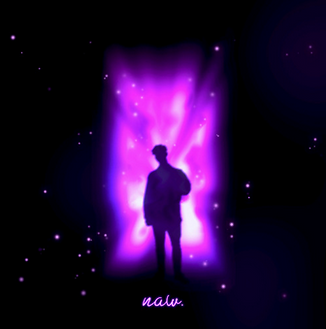 Omari's track "Naw", in comparison to some of his previous songs, barages into a more personal side of Omari where he describes the struggle of trying to find a stable place in his life. Unsure of what the right choices to make are, listeners can hear the voice of a conflicted individual who doesn't know what direction he wants to head in. However, as the song progresses, so does Omari's confidence, as he takes shots as his haters letting them know that he will be successful and accomplish his dreams. The irony of the music video becomes apparent when you realize that this Ottawa singer is in the hills of L.A. networking with some of the biggest influencers in the industry, literally making his dreams come true. With that being said, there's not much to say about Omari, as he's as private as ever, only ever really showing his personality by making appearances in the vlogs filmed by WolfieRaps. On top of that, his team is very small as he writes his own songs, uses 2 producers, and gets all his artwork done by local photographer, Osmo Capture. Evidently, Omari is the definition of humble and sticking to your roots, which can definitely be beneficial or detrimental to your career depending on what perspective you look at the music industry from. Regardless, this superstar is definitely getting his name thrown around by locals in the city, having even previously interviewed on "The Power Circle" hosted by Cassie B and Reggie Cash. We'll see what the future holds for Omari Mydz but if he keeps dropping these high quality tracks, he might be the next 6 God of Ottawa. Notable Lines: "Up too late, now I'm working nights, don't know what I'm saying, if the choice is right. Only got one chance to make it right, it's life, ain't no going back and doing it twice; I hope I get it right". Artist Comparisons: Nav, Ramriddlz, Bryson Tiller. Check out "Naw" down below, and make sure to stream it on Apple Music, Spotify, and all other platforms. You can follow Omari Mydz on Instagram, Soundcloud and Twitter.